Living with chronic pain certainly has its challenges and can mean you miss out on some activities you enjoy. If the pain is severe and/or long term, you may need to alter your work schedule, social life and responsibilities. 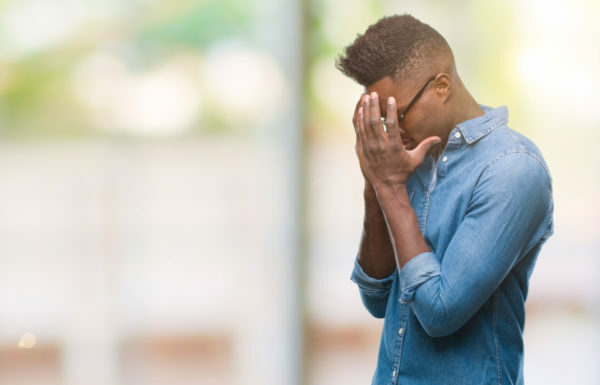 Chronic pain can prompt your body to have a stressful response both physically and mentally, so it’s no wonder that it often goes hand in hand with mood disorders. Managing mood disorders with chronic pain is a challenge that both patients and doctors need to be able to meet. Pain, especially chronic pain, has a wide-reaching effect on your life. Living with chronic pain can diminish your quality of life. It can cause emotional distress, interfere with your ability to function and may even restrict your ability to perform basic tasks such as cleaning the house or going for a walk. In some cases, chronic pain may inhibit your ability to leave the house. That can restrict your social opportunities and leave you feeling cut off from friends. Chronic pain can significantly decrease the quality of life for younger people, too. A study of 128 adolescents who lived with chronic pain revealed that as the intensity and frequency of pain increased, the participants’ quality of life decreased. The patients’ mothers were also surveyed and revealed that the pain the patients were suffering reduced the families’ overall quality of life, too. It’s easy to see why people who live with chronic pain are at an increased risk of developing mood disorders than those who do not live with chronic pain. Chronic pain can cause a lack of sleep, which leads to increased stress. That increased stress can result in strained relationships both in personal relationships and at work. This snowball effect can easily lead to more prominent and frequent symptoms of depression and anxiety. It’s important to consider the effect that pain management has on mood disorders. The better that the pain is controlled, the less it diminishes quality of life. In theory, people living with chronic pain would be able to do more if their pain is well-controlled, reducing the severity and/or occurrence of mood disorders that pain so often causes. In addition to managing chronic pain, your treatment plan should be comprehensive enough to also address mood disorders. Getting your pain under control can help to reduce depression and anxiety, but it’s important to treat the mood disorders as well. Their affect on sleep is particularly important if your pain prevents you from getting enough quality sleep. Finding the right antidepressant and the right dosage can take some time, so your doctor will ask you to report back with observances about your mood and any side effects.